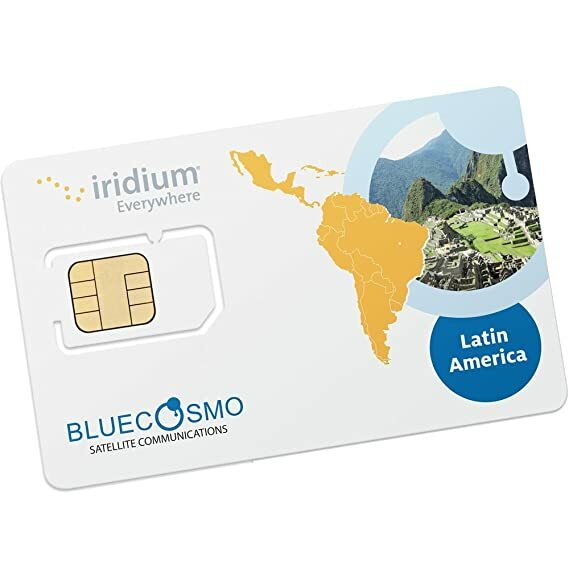 When you activate your Latin America 200 Minute 6 Month regional Iridium SIM card with BlueCosmo you will receive coverage on Iridium’s Network of 66 Low Earth Orbit Satellites in Latin America and 10 Miles into Coastal Waters. 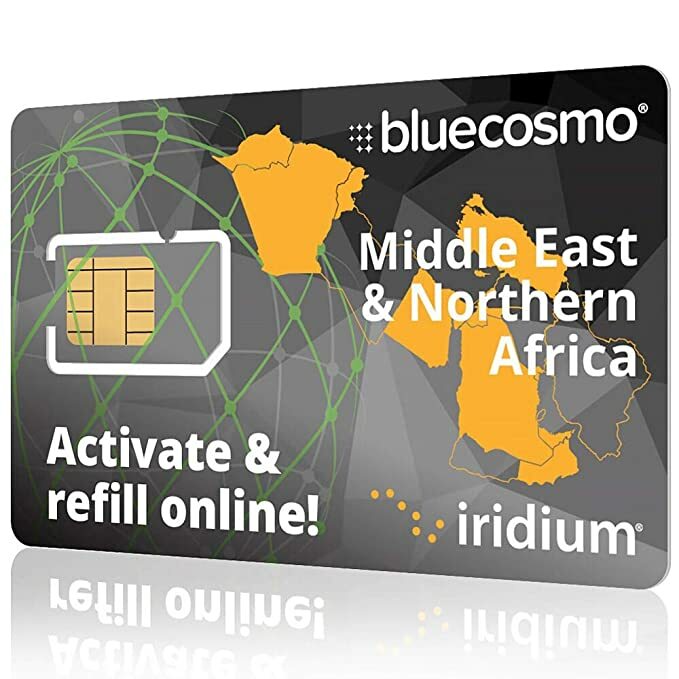 Easily activate your SIM card by using BlueCosmo’s online activation form. Once you submit your activation we go to work processing your SIM and getting it active for you within 24 hours. When complete we email you a confirmation complete with your international Iridium phone number and instructions for using your new service. Your validity period begins when you activate the SIM card. BlueCosmo includes voicemail and a US based two-stage telephone number. Two-stage dialing is a US based telephone number that will forward a caller to your Iridium telephone or voicemail. When someone calls the two-stage number they will be prompted for your Iridium phone number. 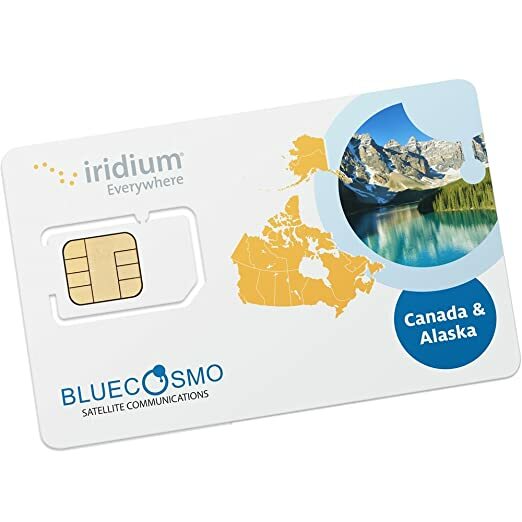 The Iridium system will try and locate you and connect the call, if you cannot be located the caller will be placed into your voicemail. BlueCosmo Prepaid SIM cards feature: No Activation Fees Two Stage Calling Free Voicemail Does NOT cover Caribbean. 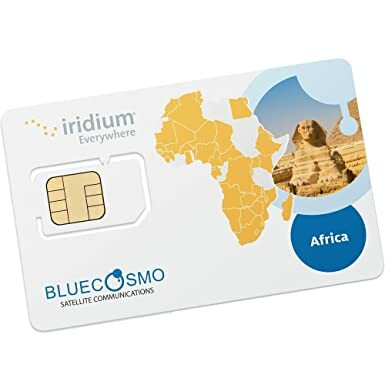 The Iridium MENA 500 Minute Prepaid SIM will only work in the countries listed below and will not work globally. No monthly access charges, Minutes valid in Canada, Alaska & 10 Miles into Coastal Waters. Two-stage dialing service included. Voicemail included. No fee for replenishment. No credit checks or deposits required. 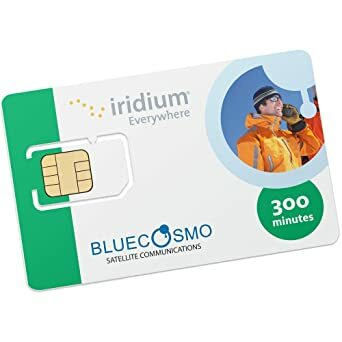 Works with ALL Iridium Satellite Phone Models. Unused minutes roll over if card is refilled prior to expiration. Refill must be with another Canada-Alaska Voucher. Validity period is 6 months from date of refill. Refill can easily be purchased and fulfilled on the BlueCosmo website. Now you can set up an iPhone and Android compatible global Wifi satellite smartphone hotspot, the Iridium Go! Here’s how it works By using software compatible with iOS and Android operating systems, Iridium Go! creates a Wifi hotspot with a 100 foot radius, capable of linking up to 5 of your devices directly to the global system of Iridium communications satellites. 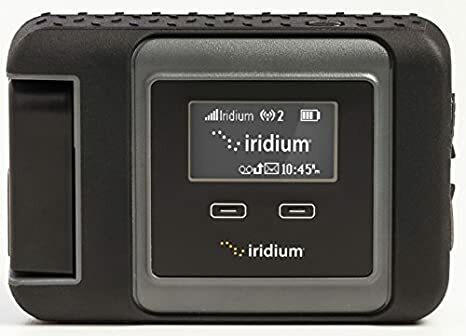 And because it can fit in your pocket, and connects to the furthest reaching satellite network in the sky, the Iridium Go! is the only truly global Wifi hotspot for your iPhone or Android device.